I love Autumn, because it's the perfect time to bring out all my favourite short sleeved knits! I bought this Retro Spec'd zig zag sweater recently, and I absolutely love it. It's a great length, and such a flattering shape, with the tapered waist and puffed sleeves. It's also a great match for these cream coloured pants (also Retro Spec'd) that I bought many years ago from the bargain bin at their stall at the Wintersun festival. That was a good bargain bin. My shoes are Jumping Jacks Cheerleaders, and they're the first pair of saddle shoes I bought since my swing dancing days. I did a lot of research into the various options, and bought these ones because they were a lot cheaper than the other brands and had great reviews. They definitely live up to the hype, so if you're thinking about getting some, just follow the direct link below. If they don't have your size in stock, keep checking back, as they do come in regularly. 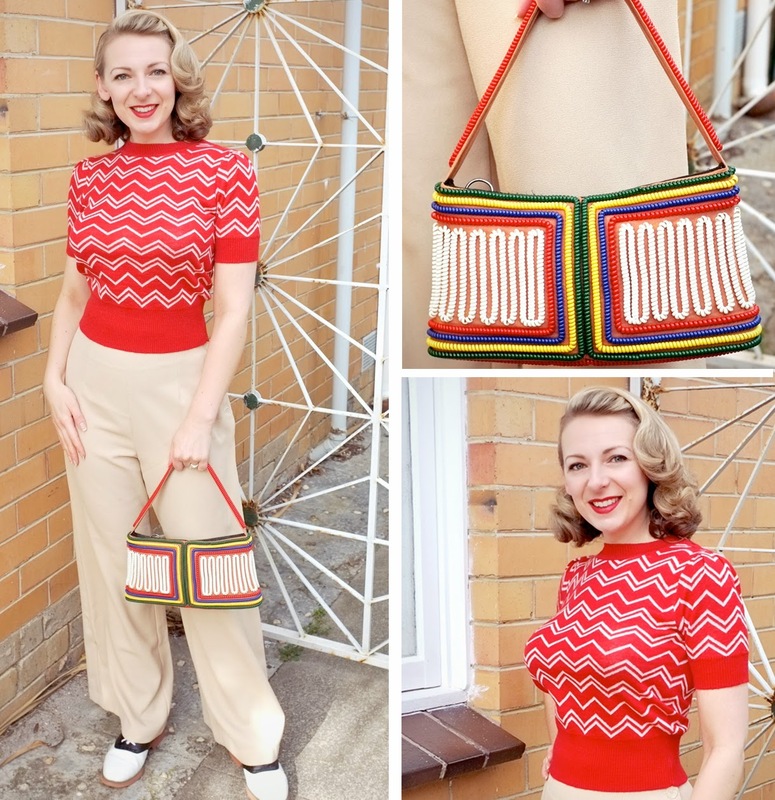 This look is fab and I totally loooove the telephone cord purse! :) I must try and wear my saddle shoes more!